Last summer, we began our exploration of women’s roles in the complex coffee supply chain by looking at the work of farmers—women who work in coffee production as pickers, managers, members of cooperatives, and owners of small farms. In this month’s report, we turn our attention to those women who are crucial in the next step of the supply chain: turning green coffee into roasted. We structured this report to consider not only coffees literally roasted by women on the production line, but also coffees that were sourced by women who are green buyers, and others that were roast-profiled by women who manage roasting operations. 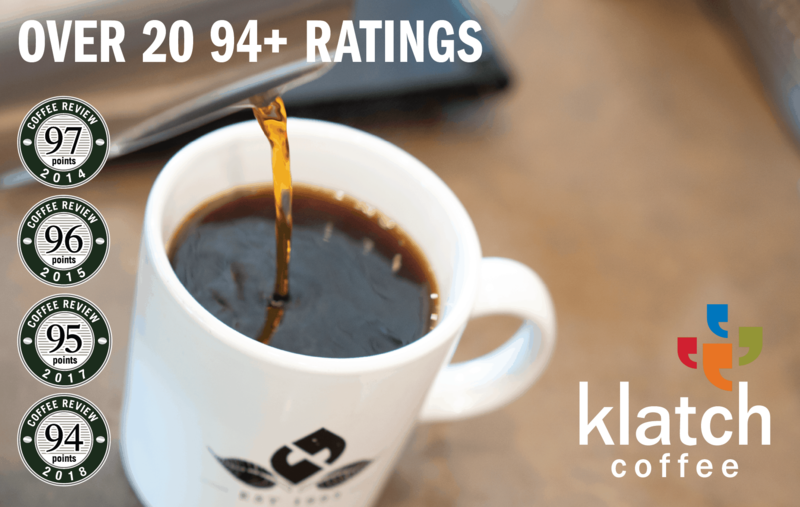 We received 110 samples for this report, a record-breaking number in the context of Coffee Review’s 21 years of monthly reports. And the overall quality was exceptionally high: 55 of these coffees earned scores of 90 or higher. The only downside to this remarkable statistic is that we can only report on the top 17, those coffees that scored 93 and above. Before we consider these coffees, an important question: Why does it matter that the roasters of these exceptional coffees are women? At Coffee Review, we cup hundreds of coffees every month, identified only by number, and our impartial sensory evaluation of each coffee depends on our not knowing where it was grown, who roasted it, or the appearance of the beans or the packaging. All of these factors have the potential to influence our judgment of a coffee, and blind cupping allows us to focus on the inherent qualities of the cup. But then, when the ratings and sensory descriptions have been established, we get curious about the details of each coffee—in this case, about the roaster, in particular, who made a significant contribution to the end product. Production roaster Grace McCutchan at Red Roaster Coffee Roaster. Photo by Jessica Messer. Amy Miller, co-owner of, and green buyer for, Argyle Coffee Roasters in Fort Lauderdale, Florida, with her newborn son, Charlie. Courtesy of Argyle Coffee. Just one year after this flurry of outreach, Taylor Gresham, head roaster at Evocation Coffee in Amarillo, Texas, took third place as one of six women roasters who competed at the subsequent U.S. Roaster Championships. The simple, profound gesture of #shestheroaster has done more than simply get women roasters entered into competitions. It has also fostered community, mentoring relationships and professional access, and most importantly, it has put the industry on notice that women are here to stay, even in the historically male-dominated field of roasting. Rachel Moreshead, head roaster for Bluebeard Coffee in Tacoma, Washington. Courtesy of Rachel Moreshead. Meanwhile, everyone wins, coffee-lovers and industry folks, alike. Craig Holt, founder of Atlas Imports and a longtime advocate of gender equality in coffee, said on a panel about women in coffee at the 2017 Specialty Coffee Association Expo: “It’s fairly apparent that, wherever women appear in the supply chain, quality is improved.” He made this remark casually, as if it were a given, and it’s a clear rationale for the work he’s done at origin, and as an importer, to support gender justice. It also carries the weight of personal narrative, expert opinion, and lived experience. Mandy Spirito, who’s worked in the industry for 10 years (and identifies a non-binary femme), says, in a story that first appeared in Roast Magazine (now archived on Royal Coffee’s blog), that when she tried to break into roasting when the coffee shop she worked for needed another roaster on the production line, the owners said Spirito was “too small,” at 5’2″ and “weighed less than a bag of coffee.” They said they “needed someone stronger.” When Spirito moved to San Francisco, women-identified members of the roasting community, many of whom had encountered similar roadblocks, embraced her fully. She is now Director of Coffee at Halfwit Roasters in Chicago. Given what we know about the gender gap in terms of pay and representation across all industries, globally, it’s not shocking that women would be underrepresented in the professionals of coffee roasting and sourcing. What is a bit surprising is how few of the roasters we feature in this report addressed that question directly when we interviewed them. Most opted to skip our question regarding barriers to achievement—why is anyone’s guess. Perhaps it’s difficult to gauge, from the perspective of present success, what one overcame to beat the unpredictable odds one encountered along the way. Hula Daddy Kona Coffee’s head roaster, Laura Ross. Courtesy of Hula Daddy. Several of the top-rated coffees in this report came to us by way of women who have worked in the coffee industry for more than a decade. The coffee that earned the highest rating, Bird Rock Coffee Roasters’ Colombia Finca La Maria Geisha (95), was overseen by Maritza Suarez-Taylor, director of quality control for both Bird Rock and PT’s Coffee Roasters. (A PT’s Sumatra Tano Batak appears in this month’s reviews at 94). Maritza Suarez-Taylor, of both PT’s and Bird Rock, picking Pacamara cherries in El Salvador. Courtesy of Maritza Suarez-Taylor. Though Suarez-Taylor might not have consciously set out to be a coffee pioneer when she got her start in the industry in her home country of Colombia nearly 20 years ago, in fact, she is. She jokes that her modest height and tall cupping tables have been her biggest challenge, but she was also told, in the early days of her career, that the coffee business was not for women and certainly not for women who don’t speak English. Suarez-Taylor is now fluent in English, is a three-time re-certified Q-grader, a former Q instructor, and an expert green-buyer. This natural-processed Geisha from Finca La Maria is richly fruit-forward, with notes of bergamot and nougat as ballast. She works closely with Lara Prahm, who made her way up in PT’s Coffee Roasters from packaging assistant to lead production roaster in four years. Prahm skillfully roasted the aforementioned PT’s Sumatra Tano Batak on a 25-kilogram Diedrich machine to develop its deeply sweet florals and delicate earth tones. Beth Beall, co-owner of Texas Coffee Traders, turns coffee drying on raised beds at the Cafe de Monteverde farm in Costa Rica. Courtesy of Texas Coffee Traders. At Beall’s Coffee Traders branches, her goal is to “create a culture of no limits.” She says that, “By encouraging women to excel, speak up and participate in our workplace, we set our own pattern for how we treat each other and how we grow.” It’s likely not a coincidence that another talented woman, Alison Chopp, is Montana Coffee Traders’ head roaster, green buyer and trainer. Owner of Flight Coffee in Bedford, New Hampshire, Claudia Barrett. Courtesy of Claudia Barrett. The head roaster for Bluebeard Coffee in Tacoma, Washington, Rachel Moreshead has experienced almost every role in retail coffee: barista, café owner, production assistant, retail manager, and now roaster. She recently seized an opportunity to return to the industry, having taken time away after the birth of her daughter. For her, roasting is “a mashup of science, history, intuition, and bravery.” Her non-linear path is a common story among women who are also parents. The wet-process Ethiopia Gedeb we review here is resonant and balanced, redolent with spicy florals, maple syrup and apricot. Finally, Equator Coffee and Tea’s Yemen (94) is an intensely sweet-savory coffee roasted to the darker edge of medium, with paprika-like spice notes and hints of rich pipe tobacco. While the company doesn’t currently have any production roasters on staff who are women, Equator was founded by Brooke McDonnell and Helen Russell in Mill Valley, California in 1995, when it was somewhat renegade for two women to found a coffee-roasting business. Equator has grown into one of the Bay Area’s leading roasters. Two submissions from Taiwan each scored 94. Caffe Douceur’s richly sweet, berry-toned Kenya AA Top Gura, was roasted by Carrie Chang at her shop in Tainan, where she’s also green buyer and head of quality control. Chang’s career in coffee began 14 years ago with her first job at Starbuck’s. She co-founded Caffe Douceur in 2006. Carrie Chang, green buyer, quality control cupper, and second roaster at Café Douceur in Tainan, Taiwan. Courtesy of Cafe Douceur. Chin-Ying Yang, of Roasters Note in Changhua County, Taiwan, who has been in the coffee industry for 12 years, roasted an elegant washed-processed Guji we enjoyed for its bright, fruit-forward cup with juicy acidity. Chin-Ying Yang at the roastery she co-owns, Roasters Note, in Changhua County, Taiwan. Courtesy of Roasters Note. Rusty’s Hawaiian and Hula Daddy Kona Coffee, both growers and roasters on the Big Island of Hawaii, are coffee pioneers by any standard. For years, both have experimented with tree variety and processing variations intended to push the envelope on aroma and flavor. Lorie Obra, co-founder with her late husband, Rusty, of Rusty’s Hawaiian in the relatively new coffee region of Ka’u (southeast of Kona), sent us the 93-rated Ka’u Oro Yeast Typica, a blend of two nanolots: a Typica processed by the “double-washed” Kenya method and a Typica with a specialized yeast, Lalcafé Oro, applied during the fermentation step of the wet process. The result is an impressive, sweetly herb-toned cup, with a wide and original range of aroma and flavor notes. The yeast experiments were conducted by Obra’s daughter, Joan Obra Gaston. Rusty’s Hawaiian owner Lorie Obra sorting cherries from her Ka’u, Hawaii farm. Photo by Carlin Ma. The one and only roaster at Hula Daddy Kona Coffee, in Holualoa, on the slopes of Hualalai volcano, is Laura Ross, who walked away from a hotel career in 2010 to work at the farm and roastery as a tour guide, where she cupped coffee every day. When owners Karen and Lee Paterson observed the sensory skills Ross had developed, they asked her to train with their current roaster at the time, Miguel Meza (now of Paradise Roasters, also featured in this report). Ross’ submission, a Red Bourbon named “Karen J,” (94) after one of the co-owners, impressed us with its subtle complexity and evocation of jasmine and, amazingly, pineapple (amazing because pineapple is a quintessential Hawaiian fruit). Mariana Faerron has lived in the U.S. for eight years, but she worked with coffee farmers in her home country of Costa Rica when she was a university student and later as a micro-lender. Faerron studied Agricultural Economy, and her values are firmly rooted in the goal of sustainability, so her Campbell, California-based company, Tico Coffee Roasters, trades largely in organic-certified and other sustainable coffees. A case in point is the washed-process Ethiopia Gedeb Gotiti (93) she purchased from METAD farm and mill, known for its production of high-quality traditional Ethiopia coffees, as well as a commitment to community. The cup is high-toned and sweet, invoking mango, honey and narcissus. Mariana Faerron, co-owner of Tico Coffee Roasters in Campbell, California, at the cupping table. Courtesy of Mariana Faerron. Argyle Coffee Roasters, in Fort Lauderdale, Florida, was founded four years ago by Amy Miller and her husband, Manny, who is from Costa Rica. From the time their son was five-weeks-old, Miller has been carrying him around the shop while she multi-tasks. Argyle’s fruit-forward natural-processed Ethiopia with notes of raspberry and chocolate fudge impressed us at a rating of 93. Ingin Kim, owner and roaster of Peri Coffee in Ventura, California, sample-roasting on a Coffee Discovery roaster. Photo by Karen Yin. 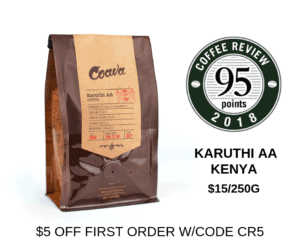 Khanh Trang, co-owner of Greater Goods Coffee Roasters in Austin, Texas, sourced the Kenya Ndunduri coffee we rated 93 for its balance and engaging notes of butterscotch and black currant. Trang highlighted the flavor notes she wanted emphasized in the cup, relying on roaster Sara Gibson to develop them in the roaster. Gibson has only been roasting for two years, having found her way to Austin and Greater Goods via San Francisco, where she took a class with queer/transgender coffee activist Dani Goot, then at Bay Area CoRoasters, a career-changing experience that gave her the confidence to leave her job as a digital content manager and dive into coffee full-time, apprenticing with Greater Goods’ other co-owner, Trey Cobb, at the roastery. Sara Gibson, production roaster at Greater Goods Roasting in Austin, Texas. Courtesy of Sara Gibson. Production roaster for Paradise Roasters in Ramsey, Minnesota, Samantha LaTendre. Courtesy of Samantha La Tendre. Paradise Roasters, based in Ramsey, Minnesota, is an innovative roasting company specializing in microlot Arabica and Robusta coffees from Asia and other emerging origins. Production roaster Sam LeTendre submitted a beautiful, very limited-production Ecuador Typica (93), that she roasted at a higher-than-usual charge temperature to emphasize the coffee’s bright fruit and crisp floral notes. LeTendre has only been roasting for a little over a year and is honing her craft with guidance from co-owner Miguel Meza.